Show them what you're made of this summer in your Calvin Klein® slippers. 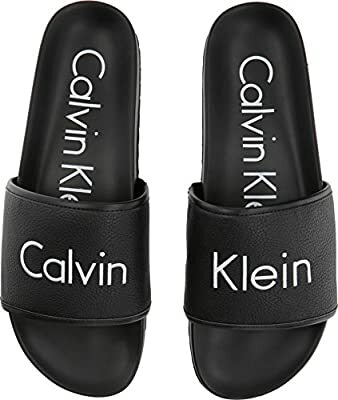 Man-made upper stitched with Calvin Klein® logo across top. Slip-on design. Open toe. Man-made insole and lining. Man-made sole. Imported. Measurements: Weight: 7 oz Product measurements were taken using size 11, width M. Please note that measurements may vary by size. Weight of footwear is based on a single item, not a pair. 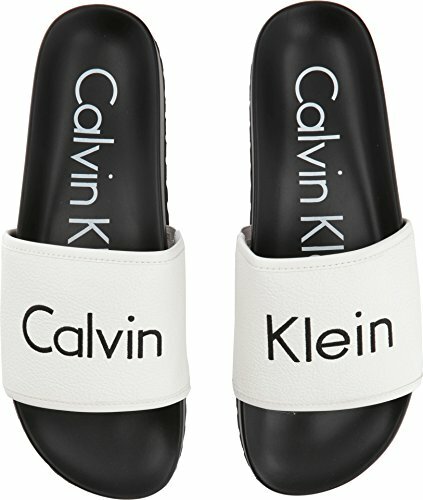 Show them what you're made of this summer in your Calvin Klein® slippers.